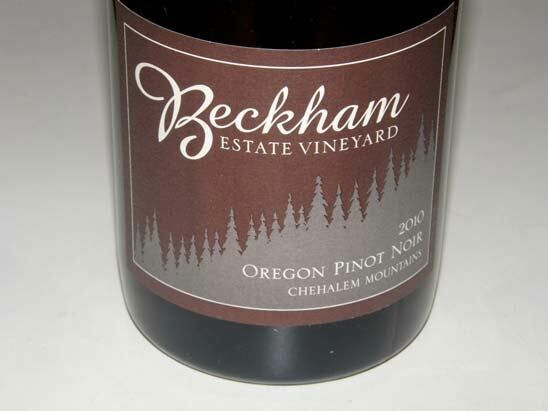 The wines designated with ** received both my highest accolade, the Pinot Geek designation, and were priced at $35 or less and received a Value icon. 13.3% alc., 275 cases, $32. Released April 2012. Yields 2.5 lbs per vine. 100% de-stemmed, whole berry fermented, aged 11 months in 35% new French oak barrels. · Moderately light reddish-purple color in the glass. 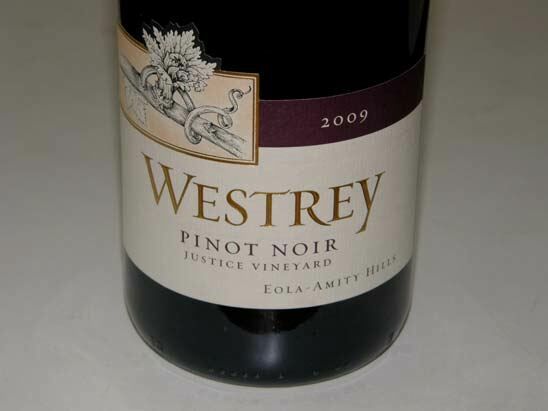 Very enticing aromas of fresh pie cherries, red plums and baking spices. Discreetly concentrated flavors of red cherries and berries with a hint of baking spice, offering hi-tone acidity and mild tannins, leaving a memorable fruit-filled impression on the finish. Lighter weighted than the 2009 bottling but offering more transparency, finesse and charm. Very good (+). 13.0% alc., 100 cases, $30. Release November 2012. Retro label. From a block planted in 1982. Aged in neutral barrels. · Medium reddish-purple color in the glass. Lovely nose, smelling of a field replete with spring flowers, and a medley of well-spiced stone fruits. Luscious core of dark red cherries with subtle cedary oak flavors folded in nicely. 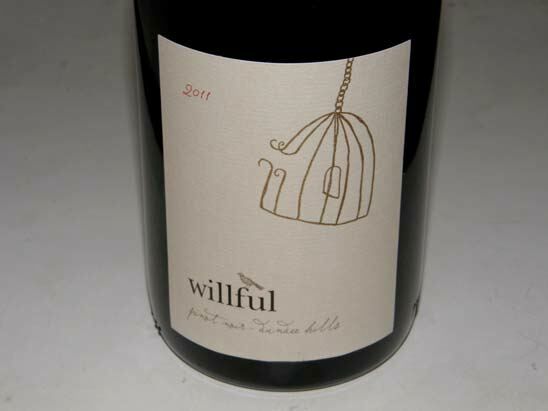 A special wine that is quite approachable now. Very good (+). 14.1% alc., 246 cases, $24. UCD 29, Dijon 113 and 115 clones. Aged 16 months in French oak barrels. · Moderately light reddish-purple color in the glass. Nicely perfumed with the aroma of fresh dark red pie cherries. 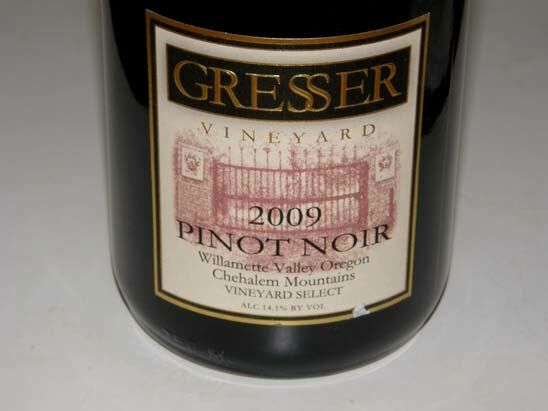 Delicious medium-weight dark red berry and black cherry flavors caressed by ripe tannins. 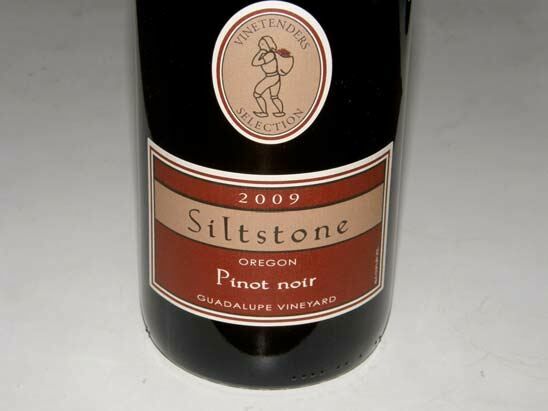 Elegant with a very soft mouth feel and aromatic persistence on the long and flamboyant finish. An exceptional wine at this price point. 13.5% alc., 450 cases, $35. A barrel selection from several vineyards including Bella Vida, Baptista, Maresh, Charlie’s, Abbey Ridge and Le Pavillon. Unfiltered. · Moderate reddish-purple color in the glass. Very shy initially, but opens beautifully over time in the glass revealing aromas of dark red and purple fruits with wood spice and subtle oak vanillin. 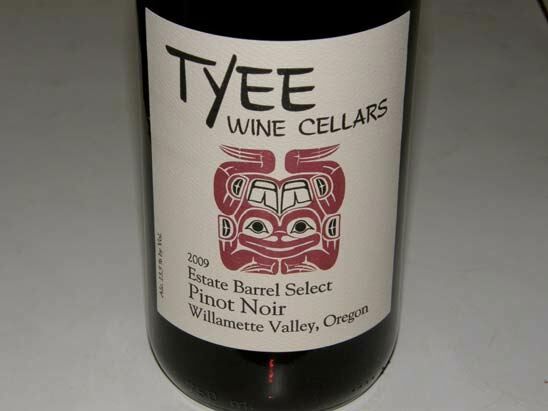 Earthy and charming, with a medium weight core of darker Bing cherry and raspberry flavors perfectly accented by oak notes of spice and anise, and displaying a fancy thrust of pure fruit on the finish. Light on its feet and very accommodating. 13.5% alc., 112 cases, $35. Released February 15, 2012. Exclusively Pommard and 777 that combines dark fruited notes from the Pommard on lower elevation sedimentary soil coupled with the intense redder fruits of the 777 on the upper elevation Jory soil. The two clones were co-fermented. Aged in 23% new French oak barrels. · Moderately light reddish-purple color in the glass. Hi-tone and pure aromas of black cherries and black raspberries. 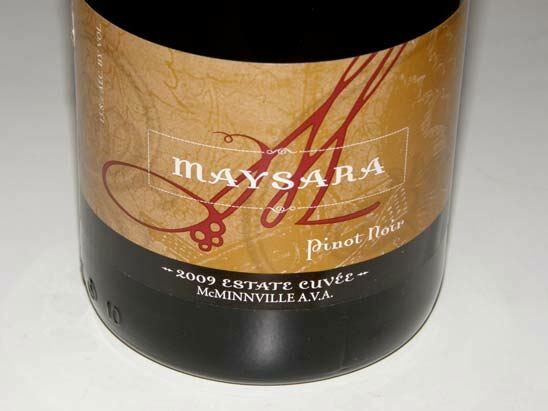 Delicious mid palate fruit offering a mélange of dark red and black berries, stone fruits and black grapes. Supple tannins make for easy drinking now. Impeccable balance and very polished. Hard to top the Estate Grown bottling, but this one does with slightly more flavor and length. Crazy good at a modest price. 13.8% alc., 919 cases, $32, screw cap. Clones 113, 114, 667, 777 and Pommard. Aged 12 months in 30% new French oak barrels. · Moderately light reddish-purple color in the glass. Very appealing aromas evolve with conviction on the nose which shows a perfume of dark red cherries and berries, dried herbs and complimentary oak. Mid weight flavors of perfectly ripe Bing cherries and raspberries wrapped in ripe fruit tannins with some persistence on the juicy finish. A refined and well-rounded wine that is very enjoyable. 13.5%alc., 98 cases, $35. Released March 15, 2012. Vineyard farmed by owners Dough and Michelle Ackerman. 50% Pommard and 50% 666 with 67% whole cluster fermentation. · Moderately light reddish-purple hue in the glass. Very bright and enticing aromas of fresh berries and rose petals. 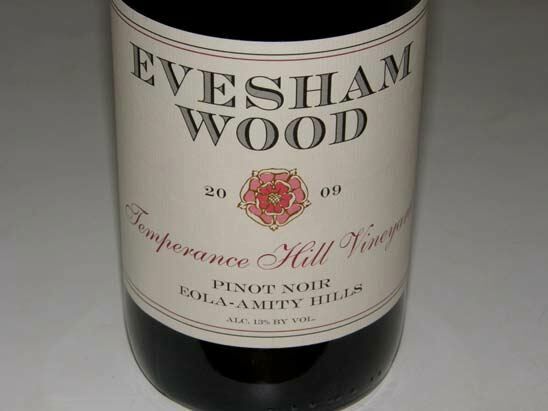 Big-boned core of purple and black berries and black plum with a subtle oak underpinning. The fruit is overshadowed by the prodigious tannins now, but there is enough fruit presence to grab your attention. More body and fruit than the Lia’s. Needs more time in the cellar, but very promising. Very good (+). 13.9% alc., 230 cases, $30. 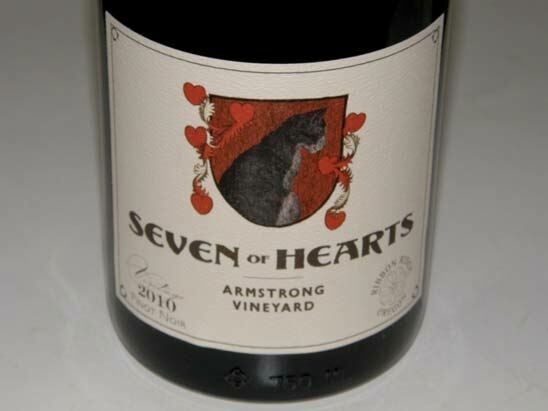 Vineyard owners are Jim Stonebridge and Kathleen Boeve and the vineyard is managed by Joel Myers of Vinetenders whose family produces this wine. · Medium reddish-purple color in the glass. 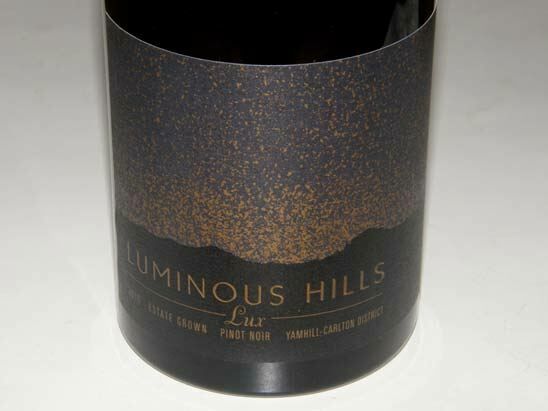 Intense and very appealing aromas of black cherries, black raspberries, ollalieberries and dark chocolate. Soft, smooth and ambrosial, with middleweight flavors of well-ripened dark cherry and berry fruits with complimentary accents of Asian 5-spice, cinnamon and toasty oak. Balanced, ripe tannins and a powerful, lasting finish complete the picture. I have been very impressed by this wine over the past three vintages. It seems to fly under the radar, yet is deserving of a bigger audience. Remarkably, the winery is still offering the 2007 and 2008 vintages of this superb wine. If you want a wine that typifies the Dundee Hills, this would be an excellent choice. 13.5% alc., $34.99. · Moderately light reddish-purple robe. 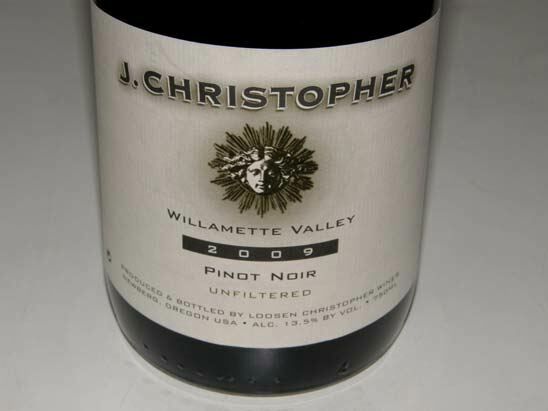 Reserved but enticing aromas of a bowl of crushed dark red cherries, plums and berries. A very polished wine with grace and elegance, yet offering a substantial rush of sinfully delicious and perfectly ripe dark red cherries and berries that persist on the crisp and juicy finish. Combines power with finesse. Youthful, and will benefit from more time in the cellar. Not the blockbuster that the 2008 vintage was, but very representative of the vintage. 13.5% alc., 321 cases, $26. From a vineyard adjacent Bethel Heights Vineyard. Dijon 667 and 777 clones. 27% whole cluster. Aged in about 30% new French oak barrels. · Moderately light reddish-purple color in the glass. Enchanting perfume of fresh dark raspberry glaze with a lovely rose petal garnish. Vivid, discreetly concentrated core of an array of spicy berry fruits supported by ripe, well-integrated tannins, finishing with a long and graceful finish. Thoroughly pleasing. 13.5% alc., 370 cases, $35. Released September 2012. First vintage from a 7-acre estate, densely planted, vineyard of 12 clones. 100% de-stemmed. 2-week cold soak. Native fermentations and minimal use of new French oak. · Moderately dark reddish-purple color in the glass. Perfectly ripe black cherries and cranberries are the theme here. Aromatically fresh and well-perceived on the palate, with a generous fruit core and a refreshing spark of lemon peel acidity on the finish. This wine grows on you over time in the glass. The firm tannins are supportive rather than dominating, but will benefit from some time in the cellar. Still solid the following day from a previously opened and re-corked bottle. Very good.